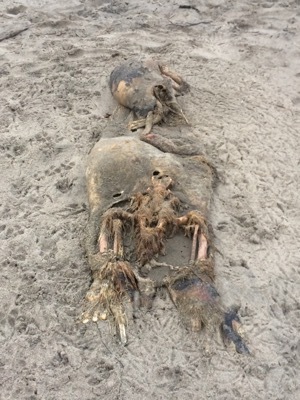 5 turkey vultures dining on a dead sealion. 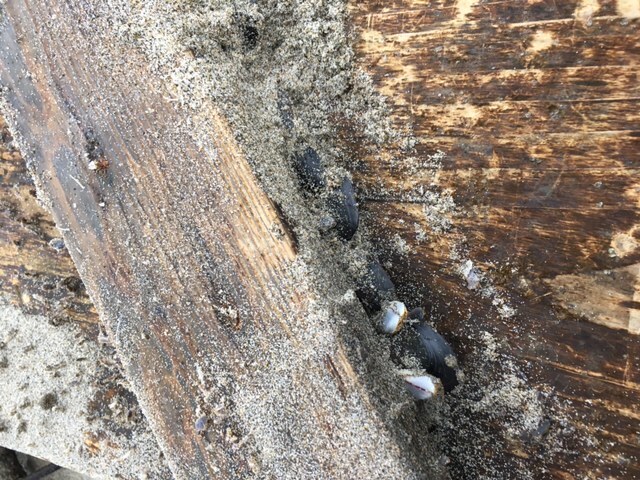 Some smaller birds as well. 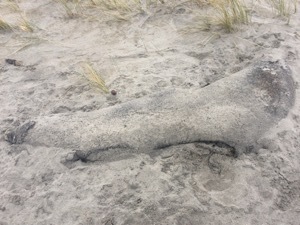 Sealion at high tide line, present for several days. 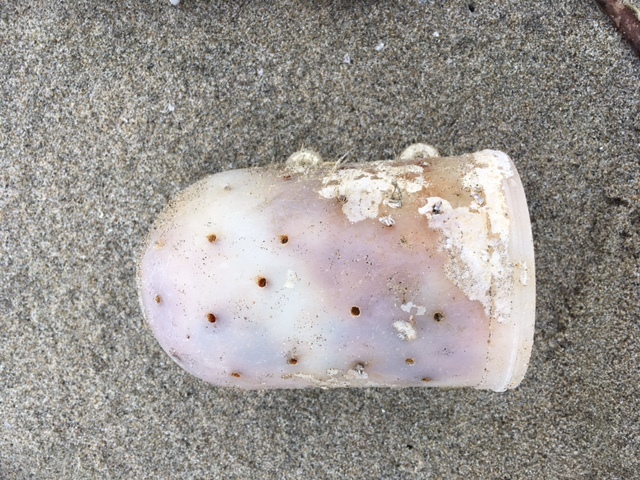 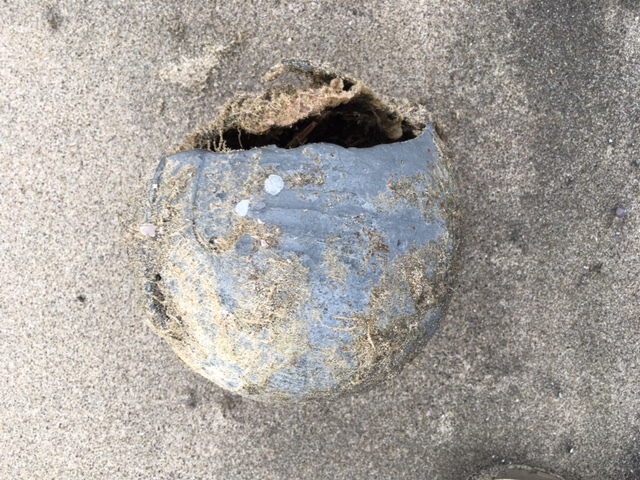 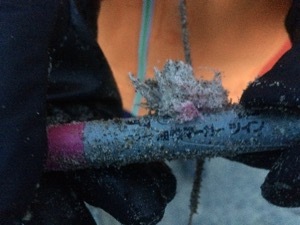 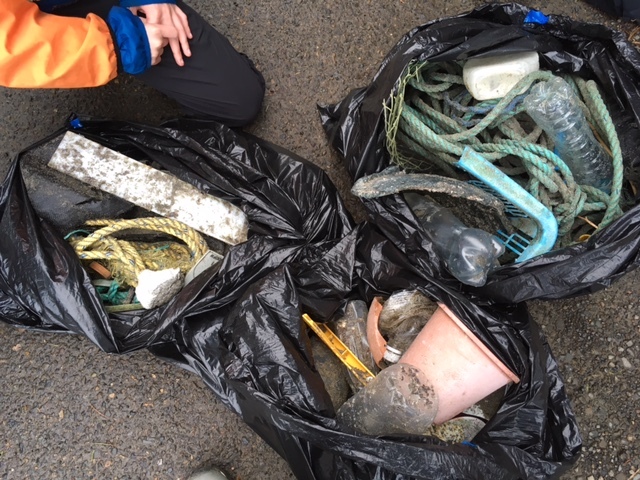 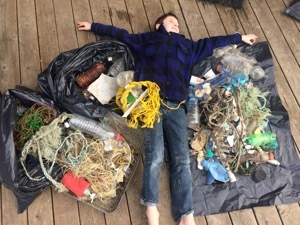 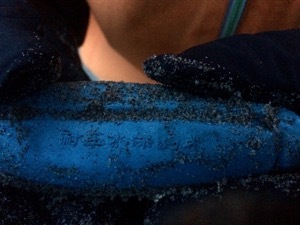 High wrack line was thin but heavily populated with small (most less than 1 inch in greatest dimension) pieces of colored plastic (green, pink, blue, white). 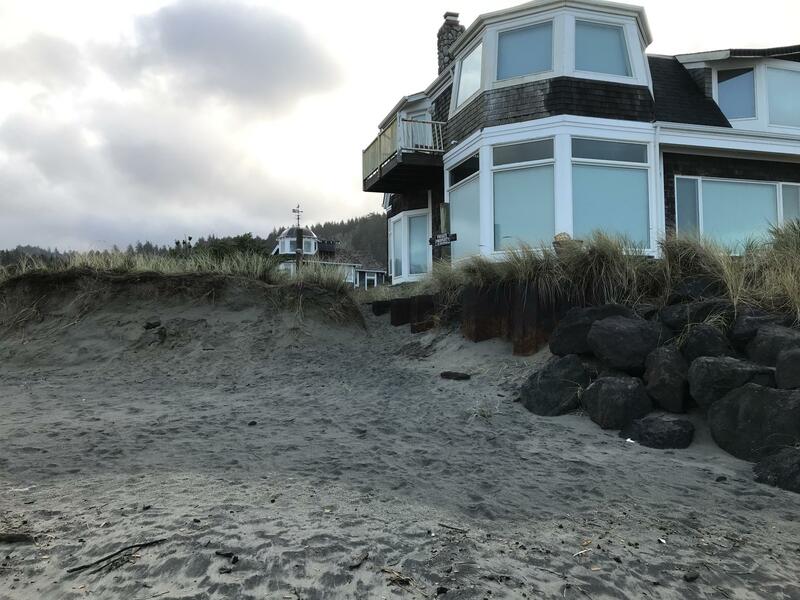 In one area sand seemed to be building up, but just a few hundred feet north and south the dune face had markedly eroded, grass and tree roots were exposed and slumping down. 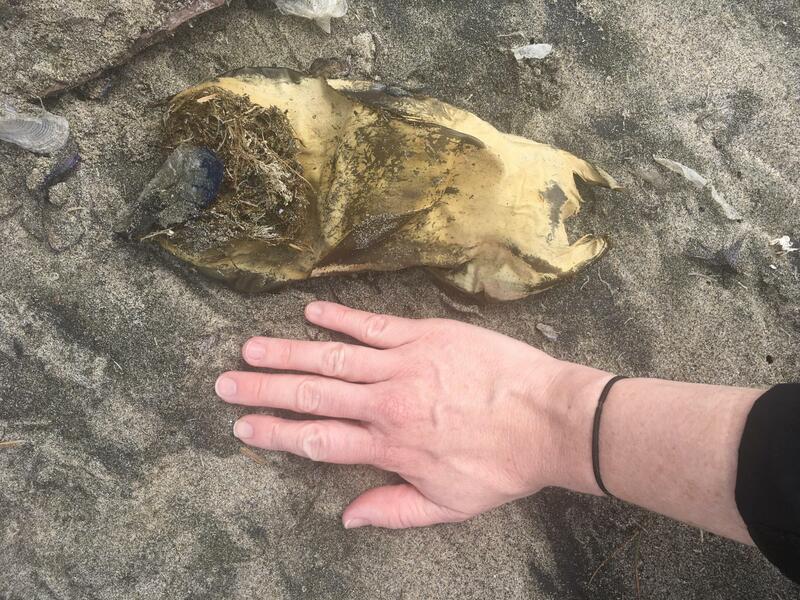 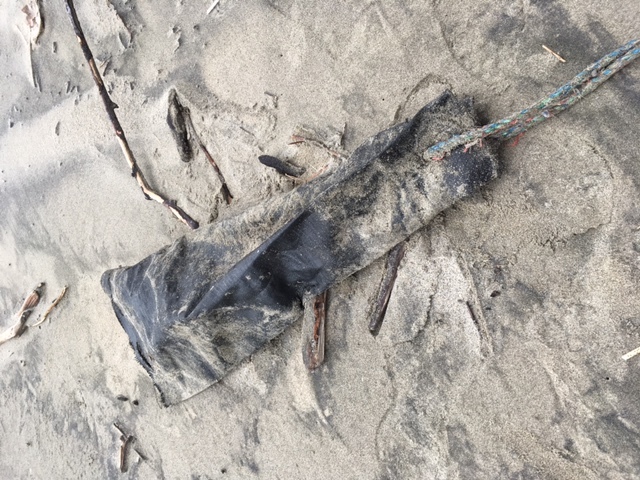 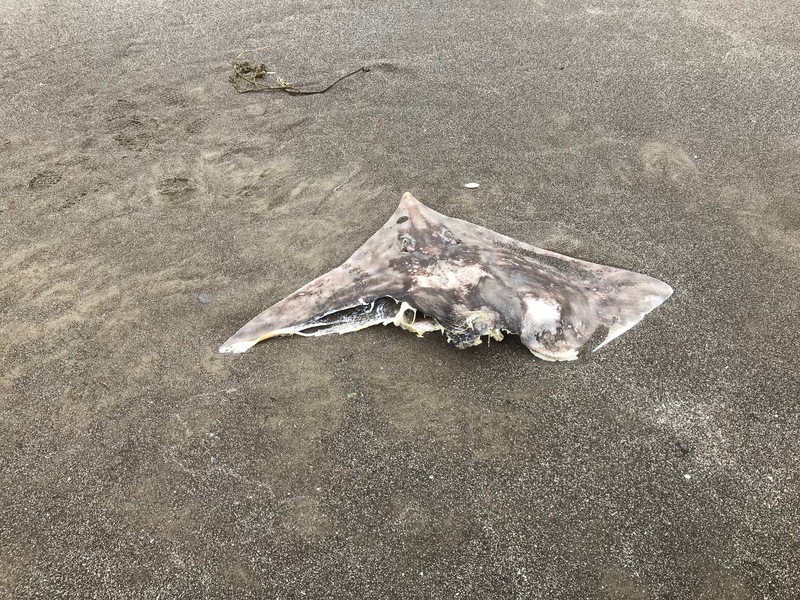 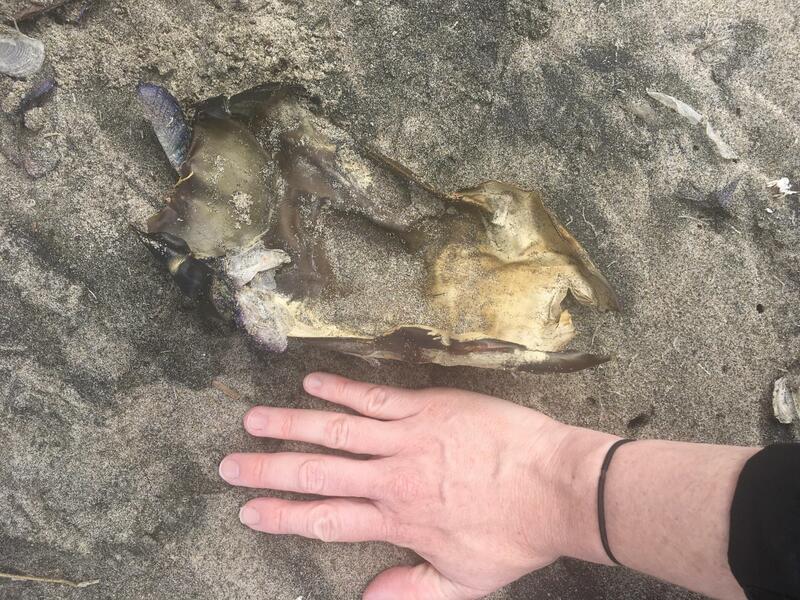 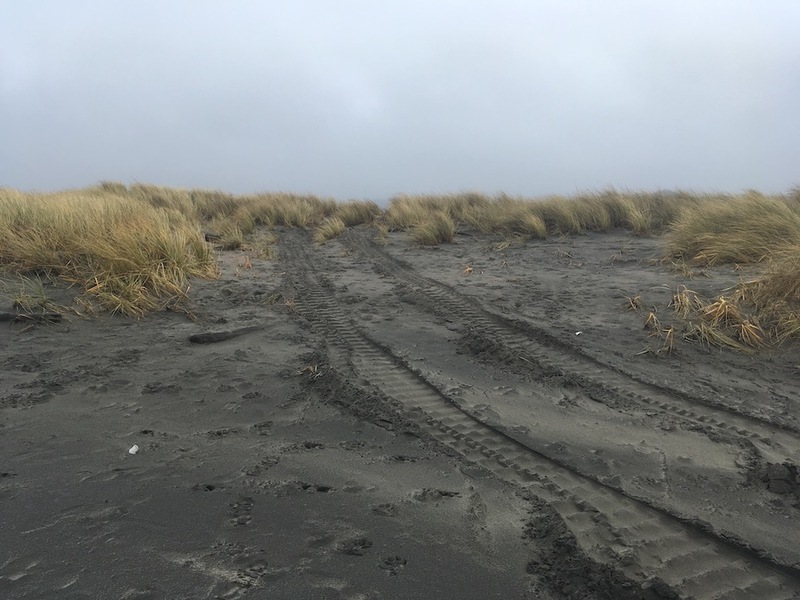 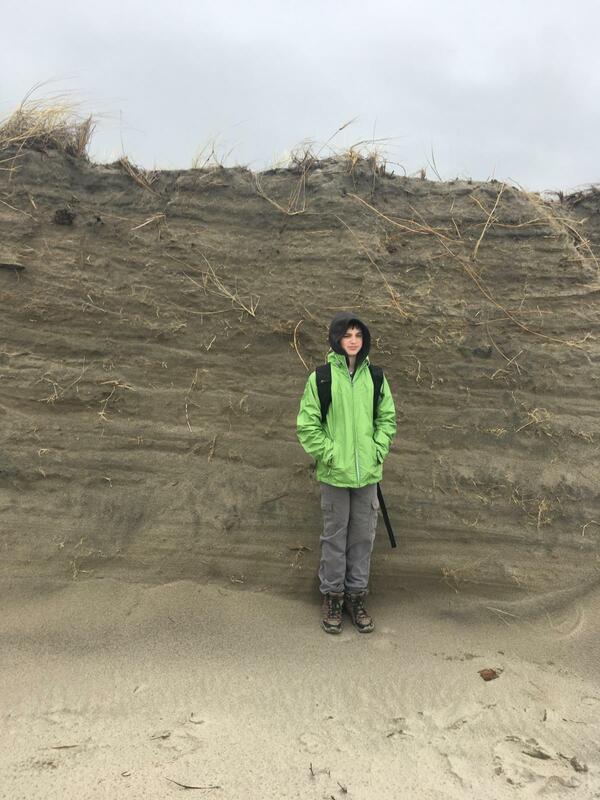 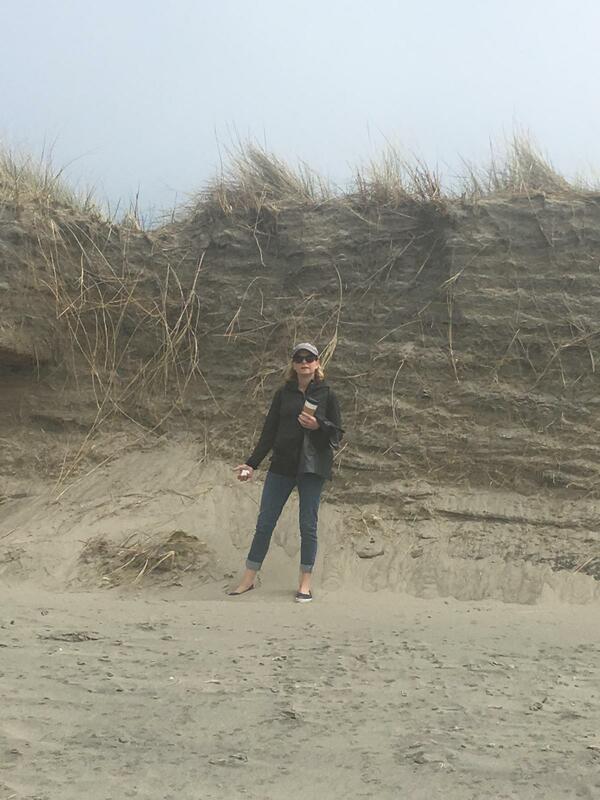 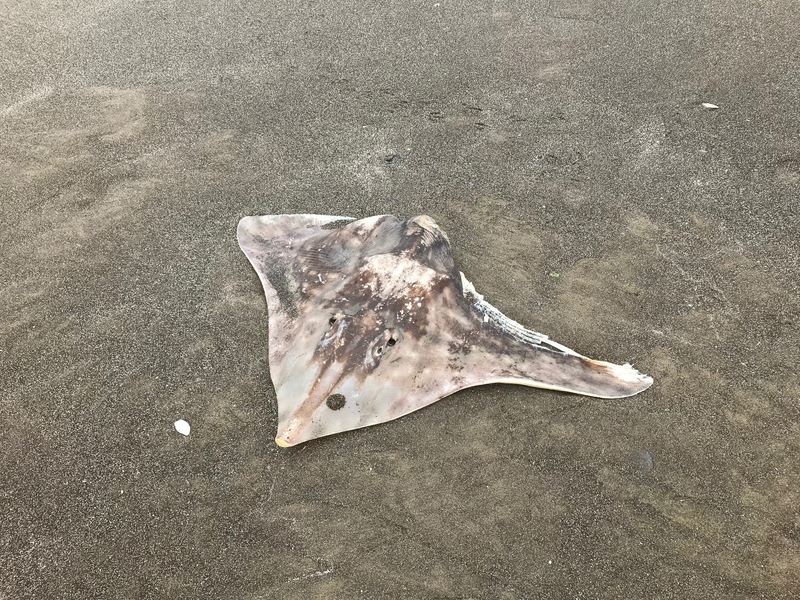 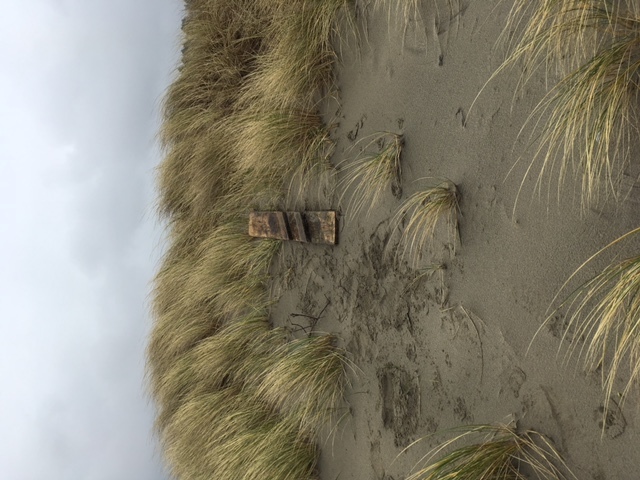 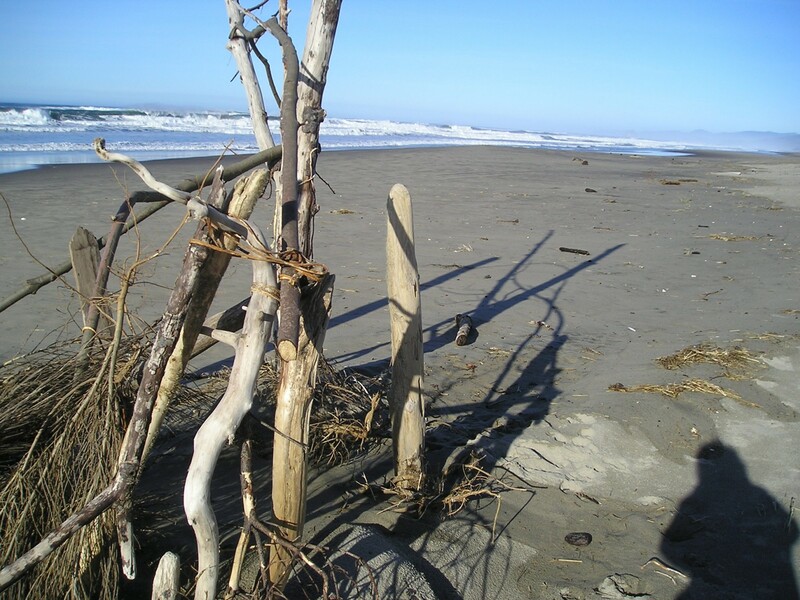 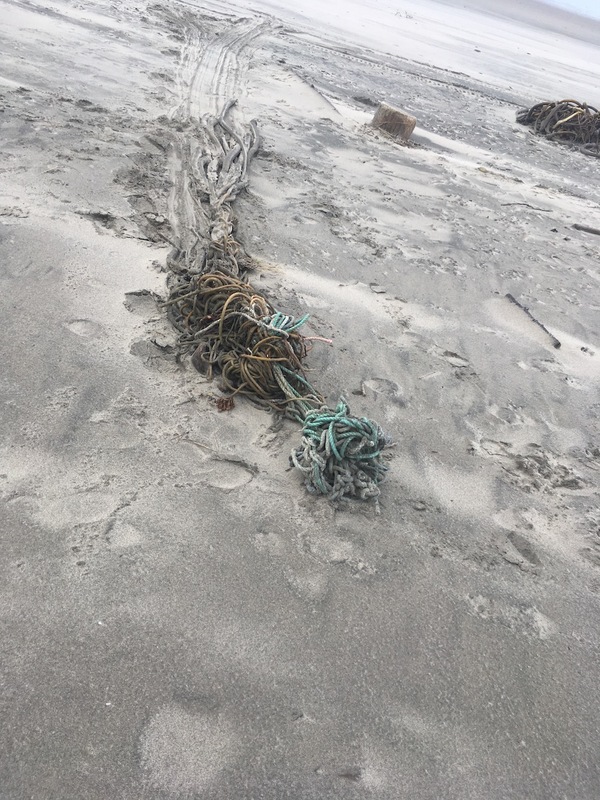 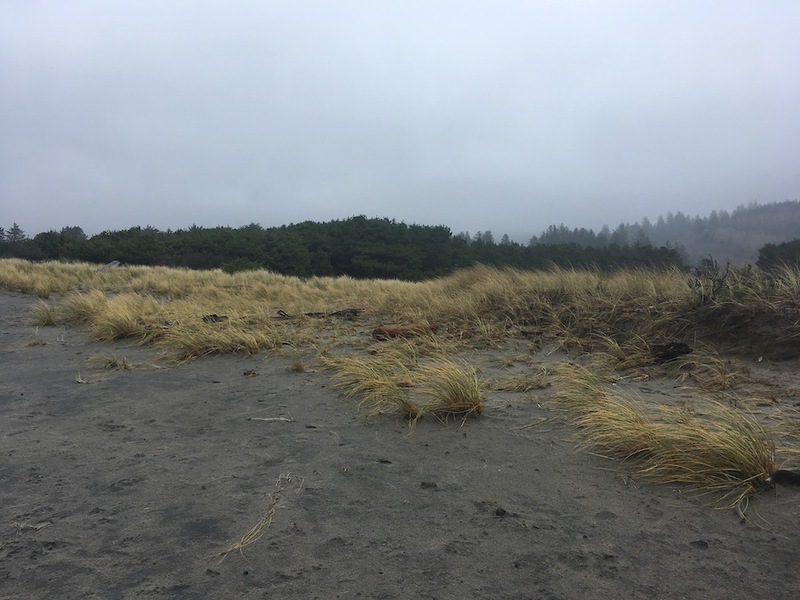 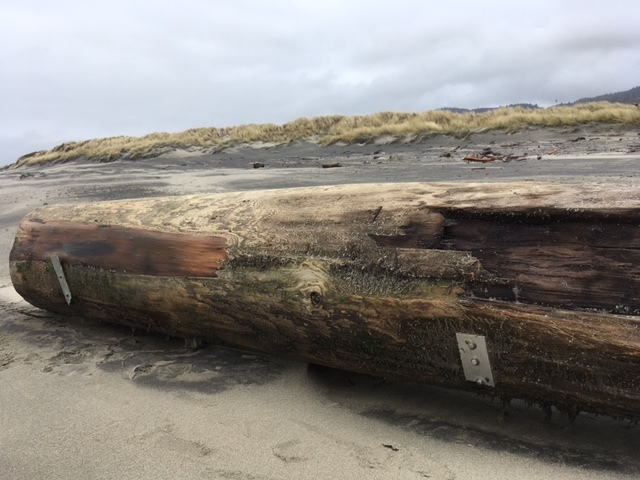 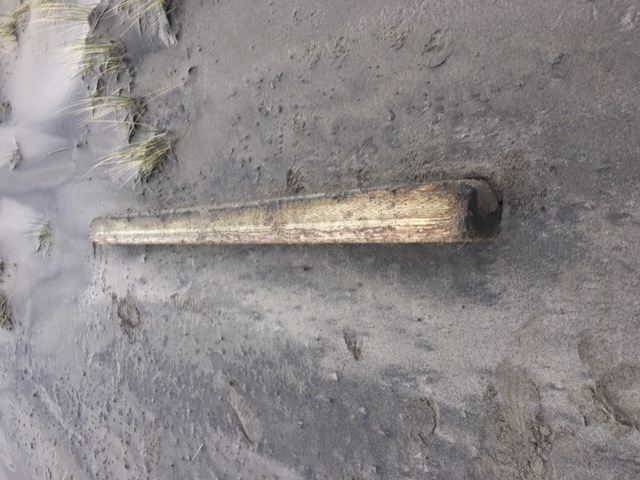 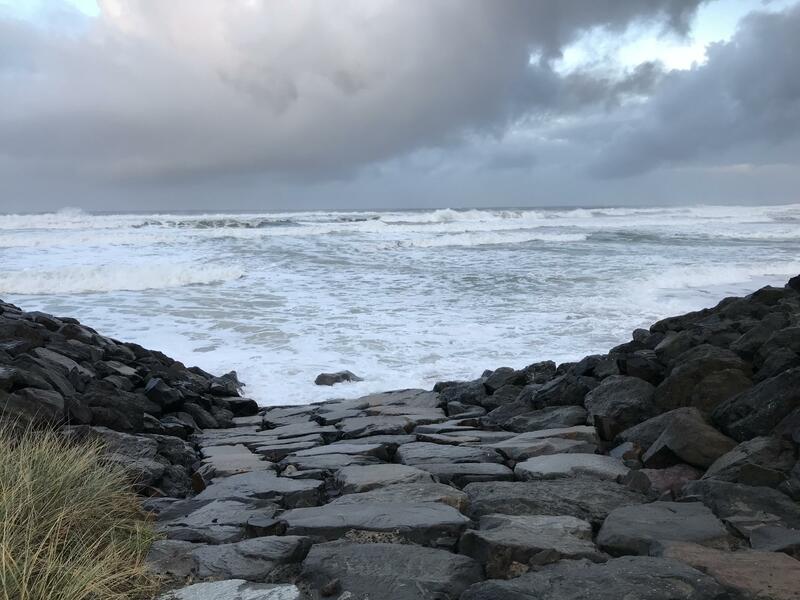 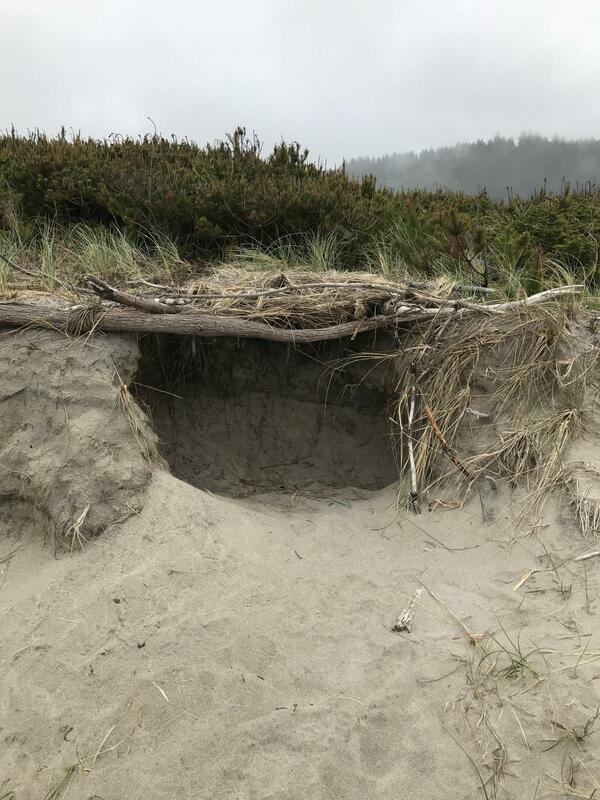 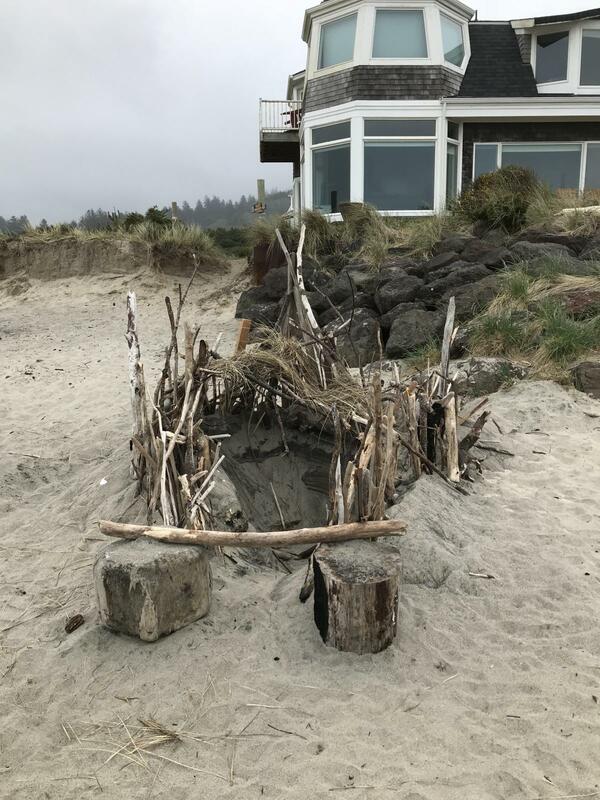 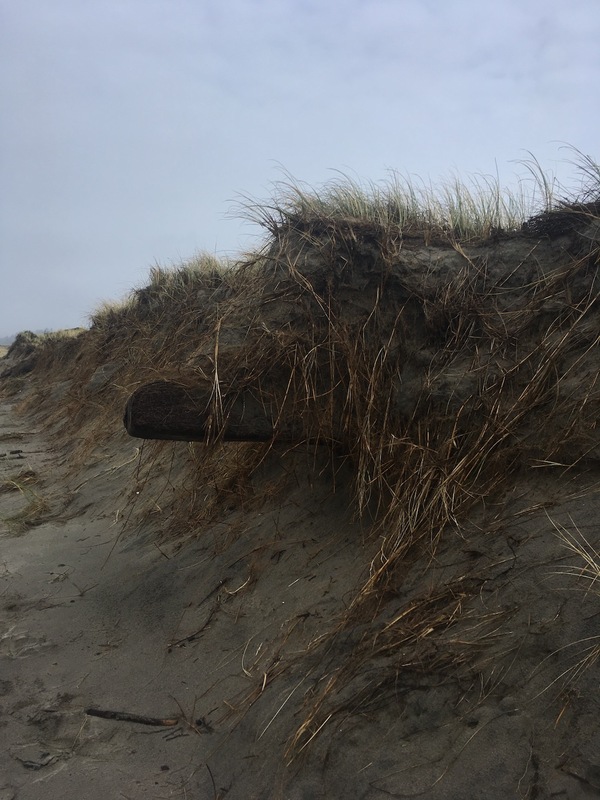 At the Neskowin Community Association meeting yesterday (5-30) it was announced that Oregon State Parks this month assessed the condition of all riprap in Neskowin and will be issuing a report to individual land owners. 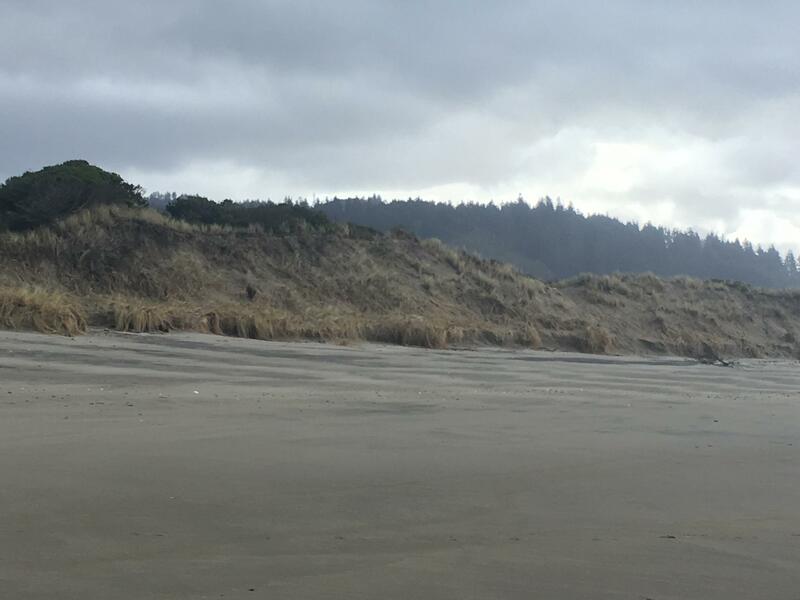 16 people and 3 dogs were enjoying the beach on this last day of the Memorial Day weekend. 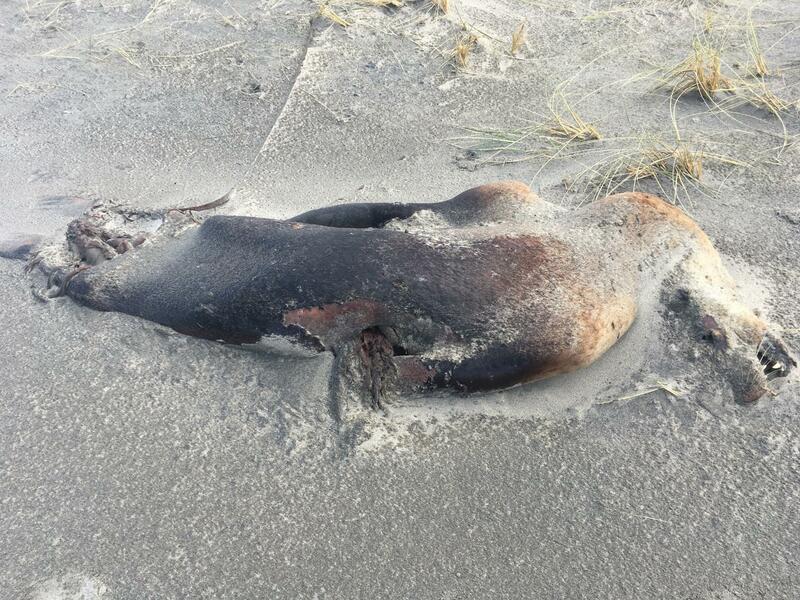 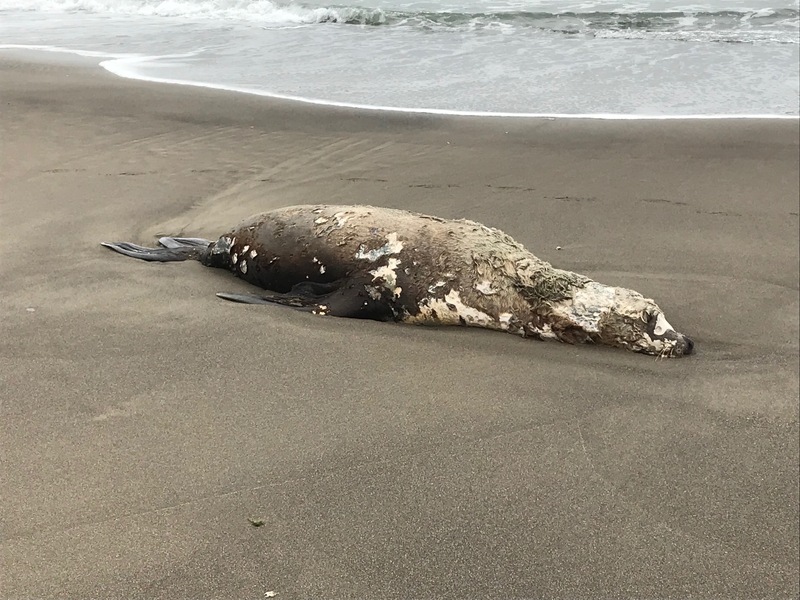 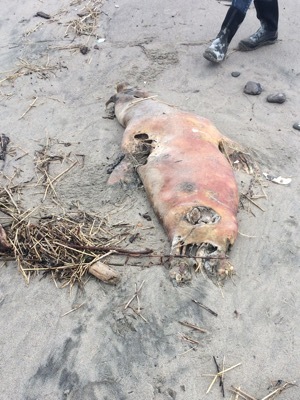 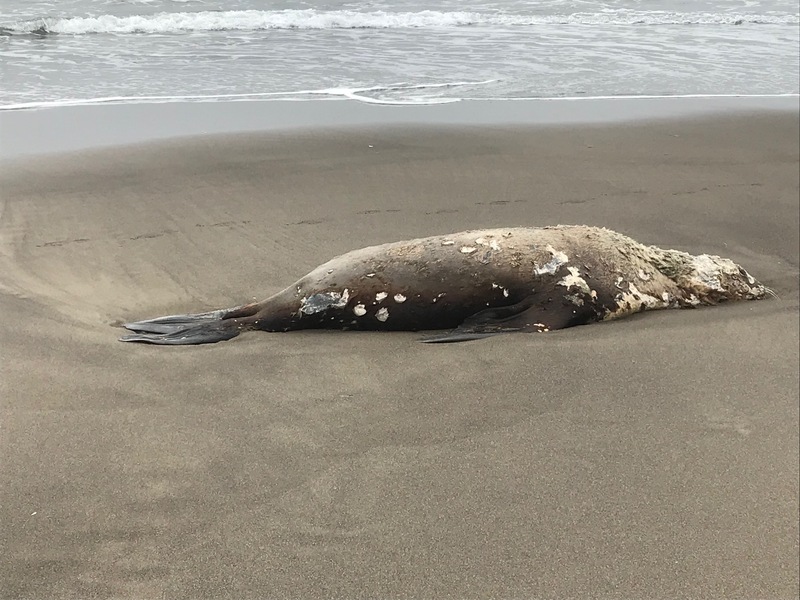 One dead sealion was providing meals for turkey vultures. 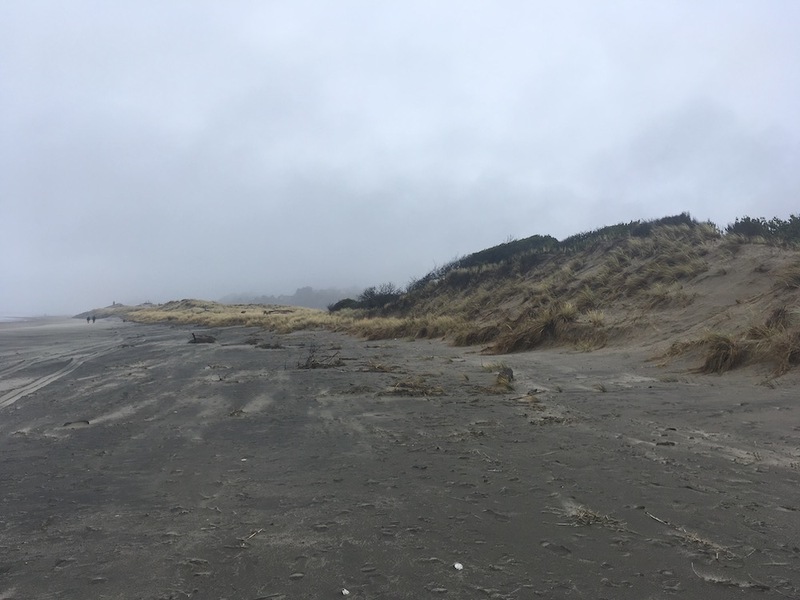 Sand seems to be building up in one area but dune face is retreating both north and south of that area. 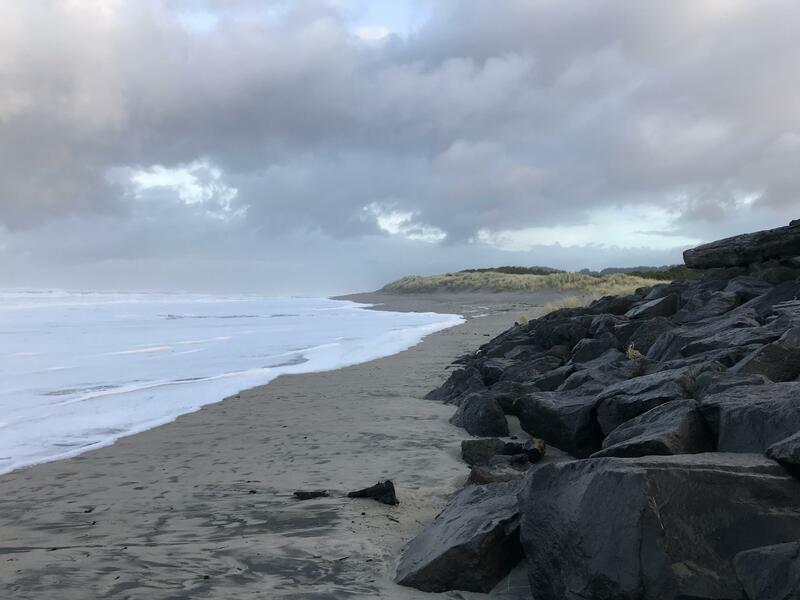 The condition of existing riprap was recently assessed by Oregon State Parks and reports will be sent to the landowners.